I know that everyone loves a little gift, so check out the freebies below! When you submit your name and email you are also opting in for my email newsletter and upcoming offers. You can unsubscribe at any time. Each of these quote graphics has an inspirational message, to encourage you to continue to live and work in a way that supports global social change. Each of these quote graphics are a square format, with black writing on a white background. Perfect for sharing on instagram! An inspirational message to encourage you to keep shining and showcasing your gifts and talents to the world. With white text on a pink background, you could use this quote graphic as a wallpaper on your phone, or share it with your friends with a social media post. 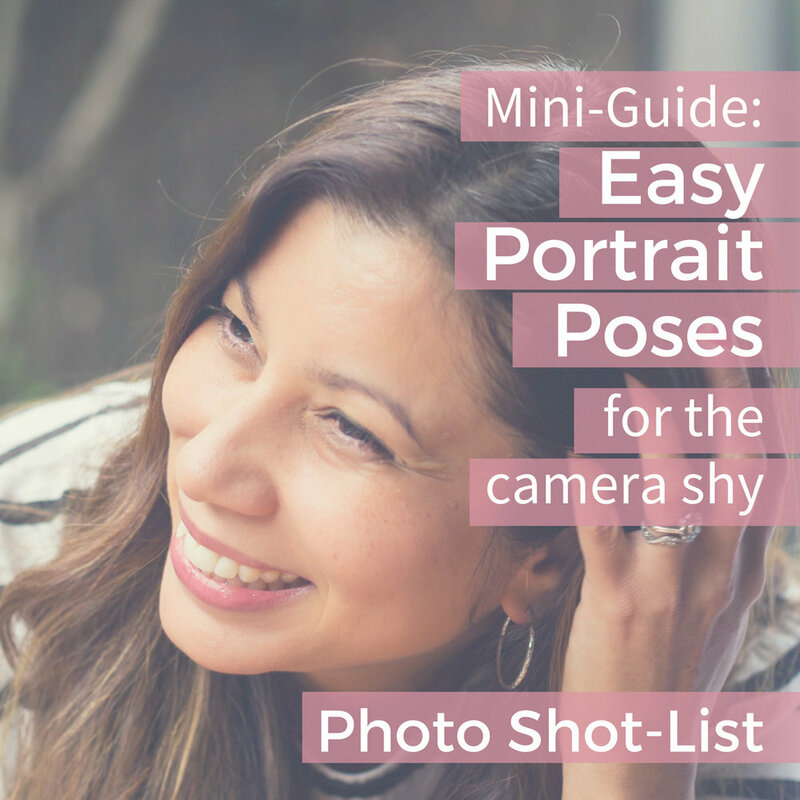 A helpful resource to accompany the Mini-Guide: Easy Portrait Poses for the camera shy, with additional poses that you can try using the same camera set-up. Print it out and keep it as a handy reference during your own photo-shoot.